← Can a “green” wedding be done in Minnesota? 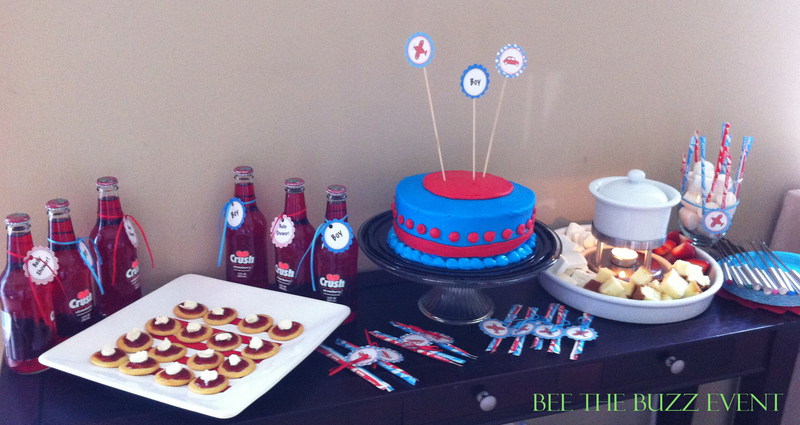 This past weekend I had the pleasure of planning a surprise baby shower for a dear friend of mine, Susan. This is her second pregnancy, so she has (sort of ) been there and done that. We had the shower at another friend’s house and we were so happy to pull this off! Susan was completely surprised and we had to give her husband, Wil, some credit to keep this a secret from her for more than a month! We wish you a smooth delivery and happy parenthood for a second time! 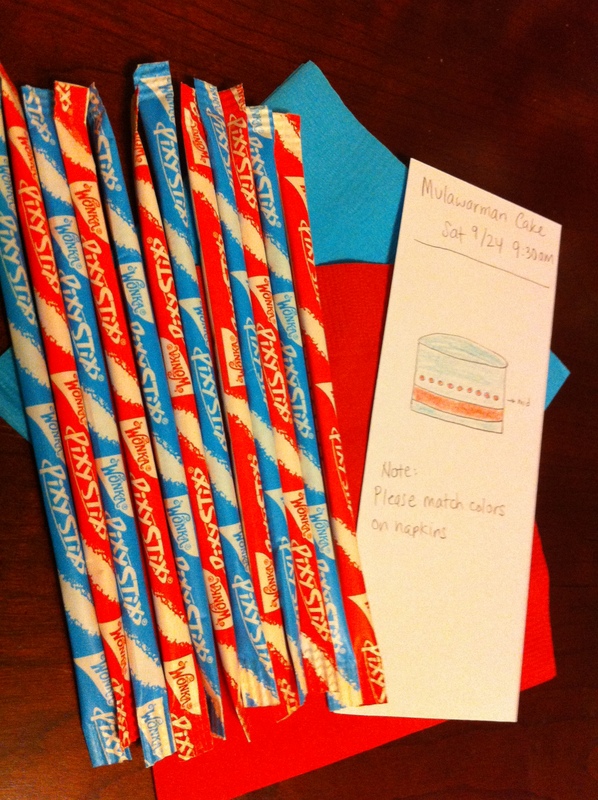 The inspiration came from these candy straws. I saw them at Party City when I was looking for an inspiration (which was a bit challenging when going with two kids in tow but I got it!). Since this was a surprise shower, I could not ask what she wanted for a theme or colors but I wanted to give Susan something cheerful and bright. With my love of vintage airplanes and cars, I decided to combine those colors and theme and purchased the graphics from an Etsy store – iheartcupcakestoo ). Then I went to the Bakery section of Cub Foods (yes, our local grocery store) and handed them a sketch that I created. With a few decorations, the cake turned out pretty good! 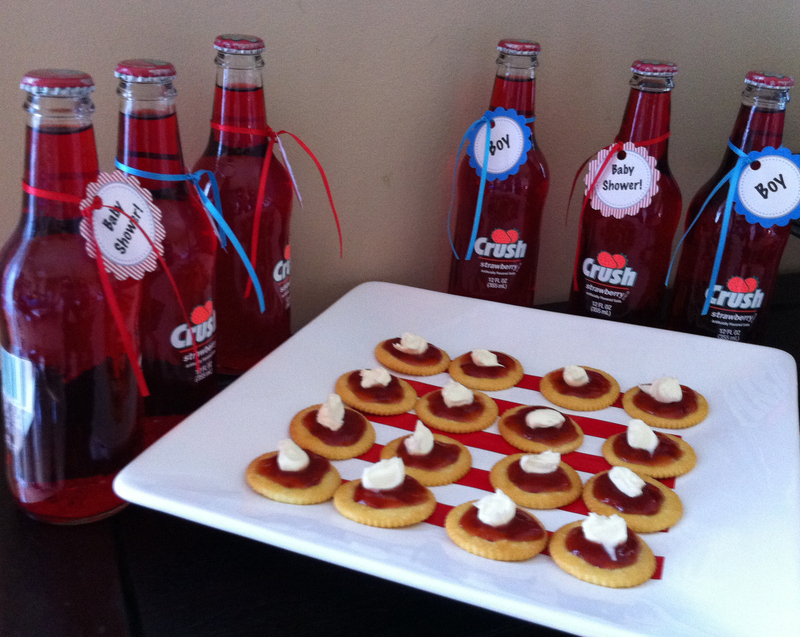 The Crush Strawberry’s bottles were a perfect accompaniment to the appetizers, which were Ritz crackers with Strawberry Jam and Mascarpone Cheese. So easy and delicious! I hand-made the thank you cards for Susan to thank her guests for coming. I bought blank cards from Michaels, stitched the graphics onto a red felt square, and stitched the felt square onto each of the blank cards. We also had some white chocolate fondue with strawberries, marshmallows, and pound cake (items bought from Costco). The dessert table turned out sweet and special! 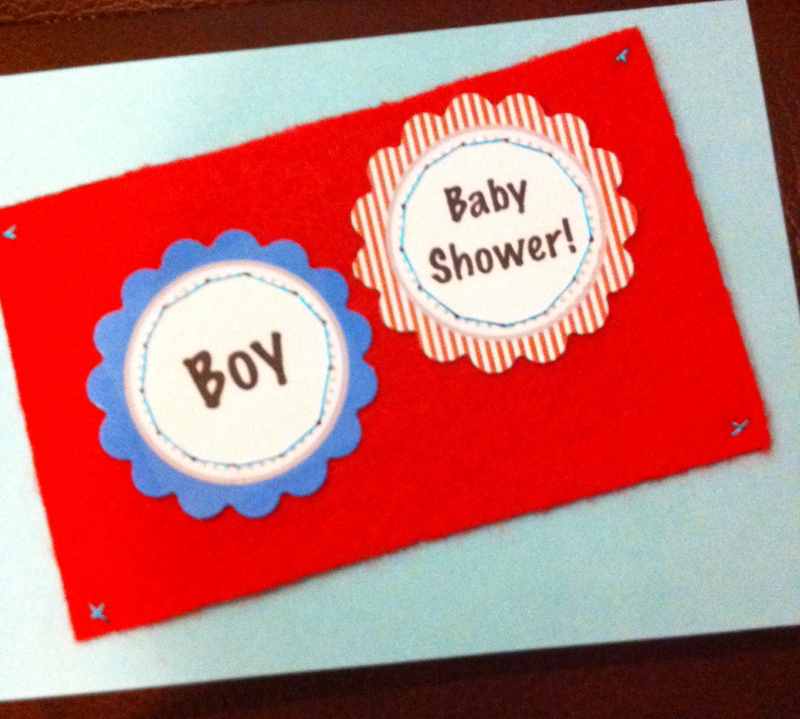 Posted in Baby Showers and tagged airplane & car baby shower, aqua red baby shower. Bookmark the permalink.